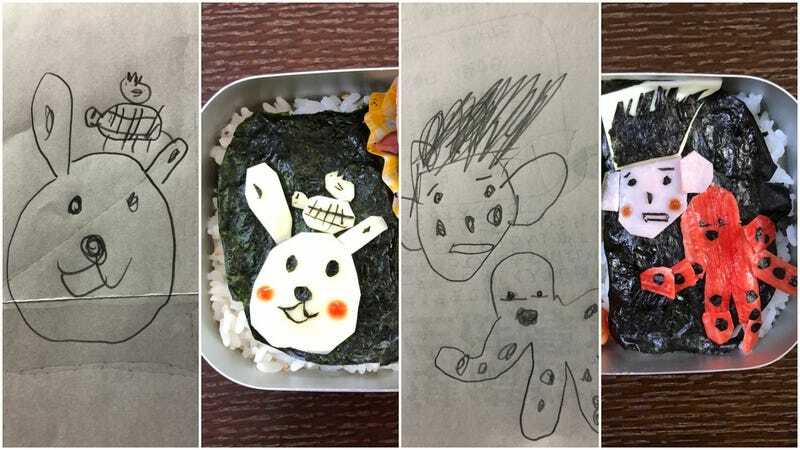 Takafumi Ozeki doesn’t just make his daughter’s school lunch, he makes it based on her drawings. The result is wonderful, touching and delicious. Ozeki is a Japanese comedian in the comedy duo known as The Geese. But, as Pouch points out, here is how he brings his child’s to life for pre-school bento. For more, you can follow Ozeki on Twitter.